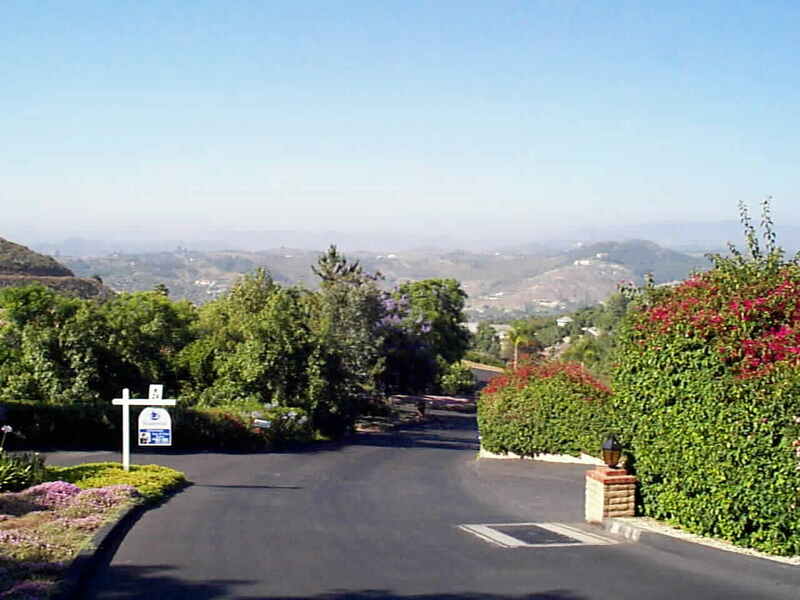 The Picture below is the entrance to Hialeah Estates, Bonsall California's beautiful community that many think will be the next Rancho Santa Fe. 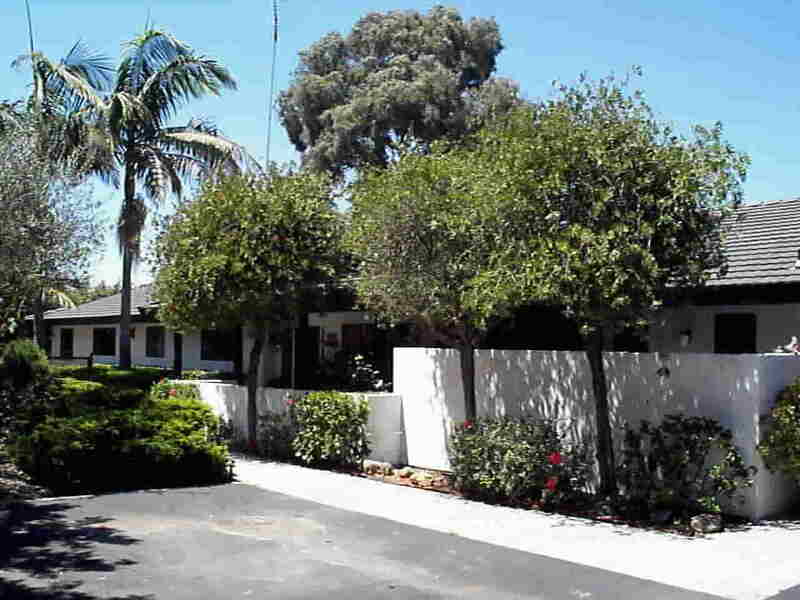 This horse ranch shown is for sale for $13,500,000 and an excellent value at that price.... but this web page is featuring an incredible opportunity. 6447 Via De La Reina, the classic great investment. In any other location, the property offered here would be one of the most expensive homes. But this is the classic great investment. Location, Location, Location and the less expensive home in a more expensive community. This home has all of the attributes most desired in estate homes. Spacious 2,974 square feet, single story, 4 bedroom, 3.5 bath, 4 car garage, covered RV parking with automotive hoist, and a detached 2 car shop. All of this situated on 2.5 acres in the middle of a producing avocado grove in beautiful Hialeah Estates. This truly is one of the premiere lots in Hialeah Estates. Panoramic mountain views from almost every room and yet the only neighbor in site is a distant multi-million-dollar mountain top estate. Quiet, Secluded, Peaceful, in fact the photos here will attest.. to actually see the home in perspective we had to shoot photos from across the valley. 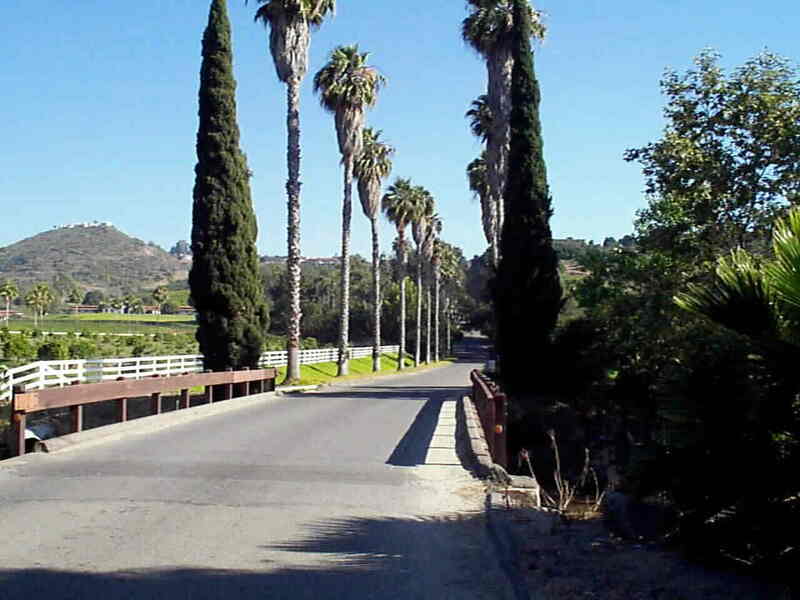 This is what Rancho Santa Fe used to look like. Quiet, private streets, no traffic, no noise, and weather paradise. High above the San Luis Rey river valley, in a hanging valley, the home is shaded by mature Eucalyptus trees, has an unrestricted North view of Mt. Palomar, Mt. San Jacinto, and the San Gabriel Mountains above San Bernardino. Snow capped winter vistas in the ideal climate range of Southern California. Cooling ocean breezes in the Summer, and warming in the Winter. 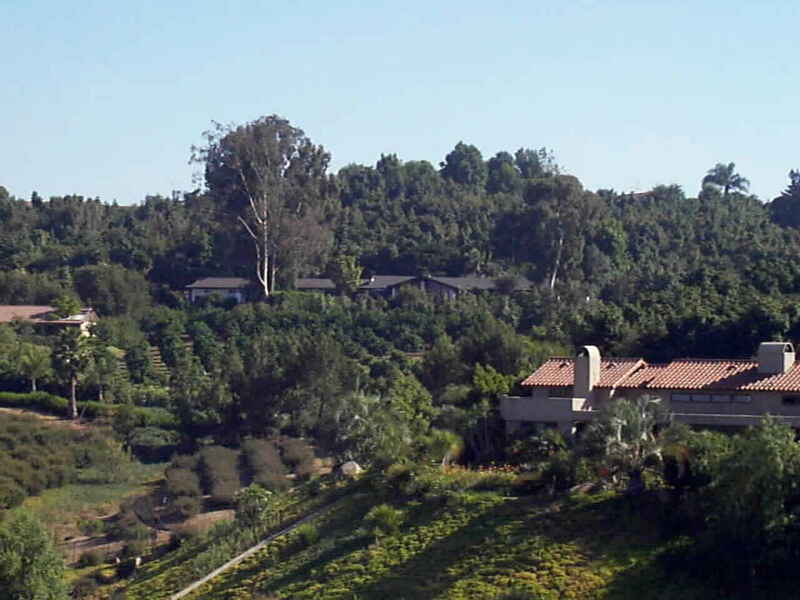 Tucked into the high hanging valley and virtually flat and all useable, the 2.5 acres is protected from Winter Santa Ana winds and fruit drop in the Haas Avocado grove is minimized.